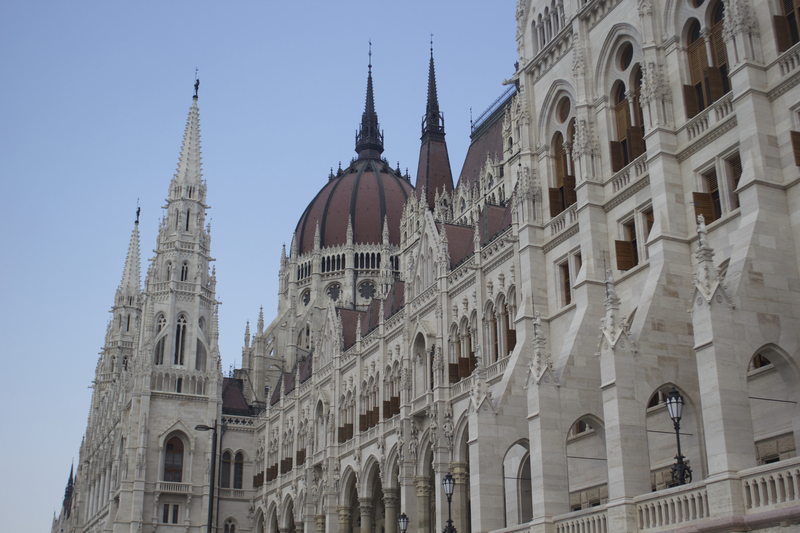 As summer is quickly drawing to a close, I thought it was about time that I wrote my very over due post about my trip to Budapest last month! I have been spurred on to do this as I have FINALLY booked my main summer holiday with tom, round of applause please! We are going to Venice for 4 days and then on to Crete for a further 6, I am literally so looking forward to it! So this bring me to another quick issue, I will need some blog posts to be scheduled for those 10 days, is there any posts you’d really like to see here or is there anyone that would like to do a guest blog post? If you have any idea leave them in the comments please and if you’d like to write a guest post, then please email contact.therosebeautyfiles@gmail.com. So, back to Budapest, I will split the post up into the 2 main days that we were there and will also pop a few links to restaurants and our hotel incase you are interested. We arrived in Budapest in the early evening, the flight wasn’t too long and we arrived a little early which is always good! If anyone is thinking of going to Budapest and is needing a transfer to your hotel then definitely check out Airportshuttle HU, they have a booth in arrivals so you don’t have to book it in advance. It is definitely the cheapest and most convenient option that we found and the service was very well organised and professional. 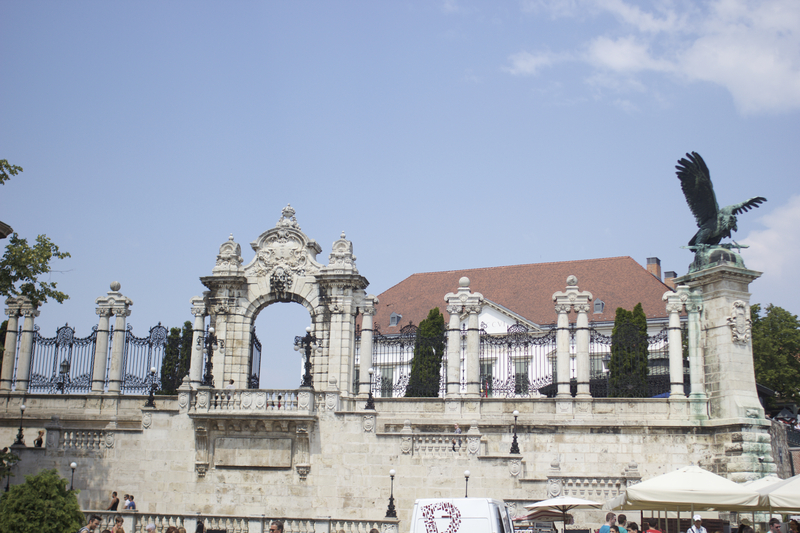 Our hotel was the Hilton Budapest in the Castle District which was absolutely perfect for our stay, it was a 5* hotel but we managed to get a really good deal so it was not 5* prices when we went! 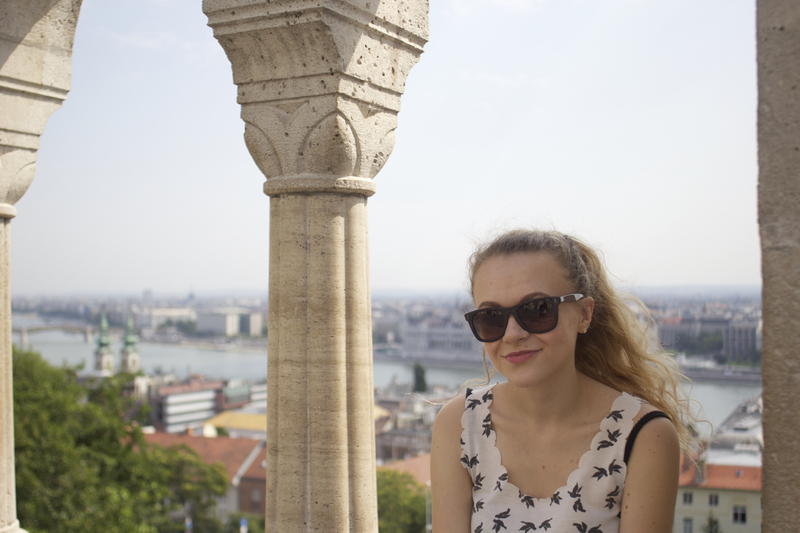 The Castle District is beautiful, you get amazing views over the whole of Pest and the Danube. There are lovely restaurants near by and loads of fantastic sights to see! What struck us was just how clean the entire district was, there was no rubbish anywhere and all the buildings and pavements looked like they were cleaned every day, not something you can say about many cities nowadays! Whilst we were staying in Budapest, they were having a heatwave, and when I say it was hot, I mean HOT! It was 38 degrees celsius every day we were there which made sightseeing quite uncomfortable! We decided to go out in 2 hour bursts and then come back to cool down and refresh before going out again. We managed to cram absolutely loads into one day and I think we saw pretty much everything we wanted to which is always a good sign! 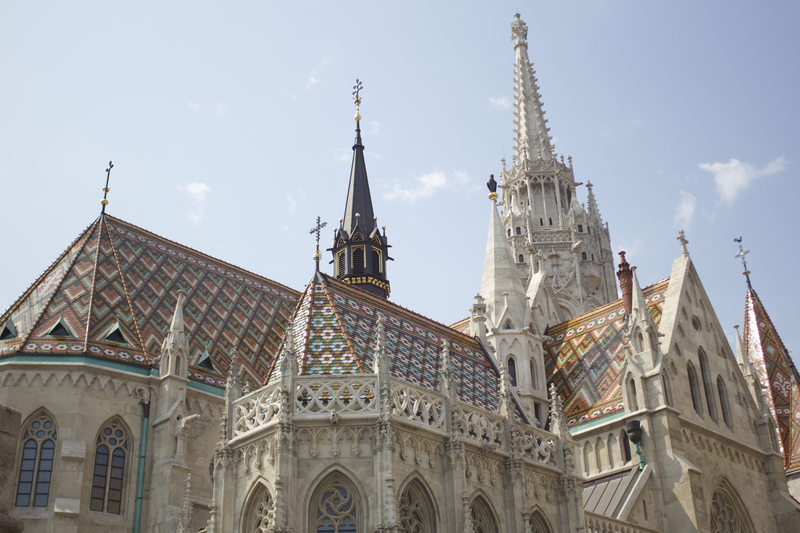 The first thing we saw was the Matthias church which was situated next door to our hotel conveniently, it is a beautiful church, even if you are not into religion, you cannot deny how amazing the building is. It has a fantastic mosaic roof that is really striking and sparkles when the sun shines! 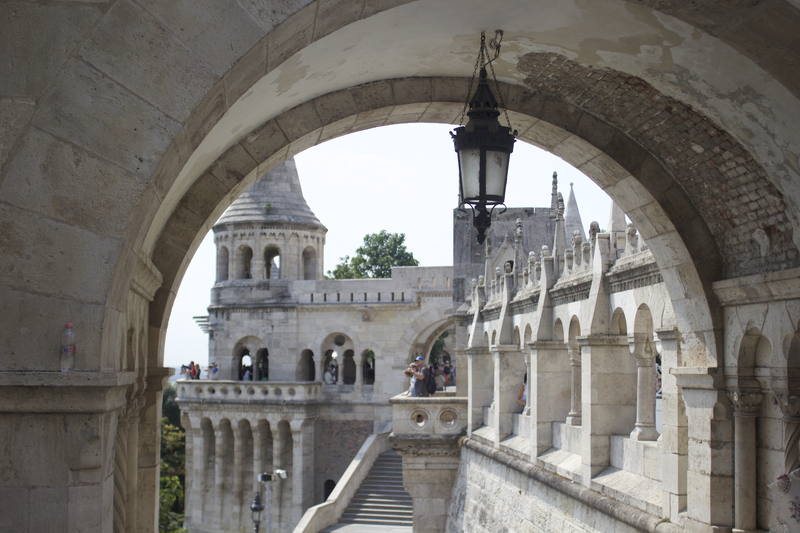 From the Matthias church, we headed to the Fishermans Bastion which is right next to the church. It provides some fantastic views over the city and the architecture is brilliant. There are a couple of places to grab and ice cream and cool off nearby but it is quite busy during the day with people wanting to take advantage of the amazing photo opportunities! Seeing as we were staying in the castle district, we obviously had to take a walk along to visit the castle! The castle and the palace are right next to each other so it’s great if you are short on time and want to cram in as much as possible. The palace has a ‘changing of the guards’ procedure and certain times throughout the day. This is something you should try and see if you get the chance as it is completely different to the changing of the guards at Buckingham Palace, as it’s quite a formal routine they have to go through and in that heat, I had a lot or respect for them standing there all day! The palace and the castle are both really amazing buildings and definitely worth a wander round the outside, it’s another great photo opportunity and a lovely bit of history. 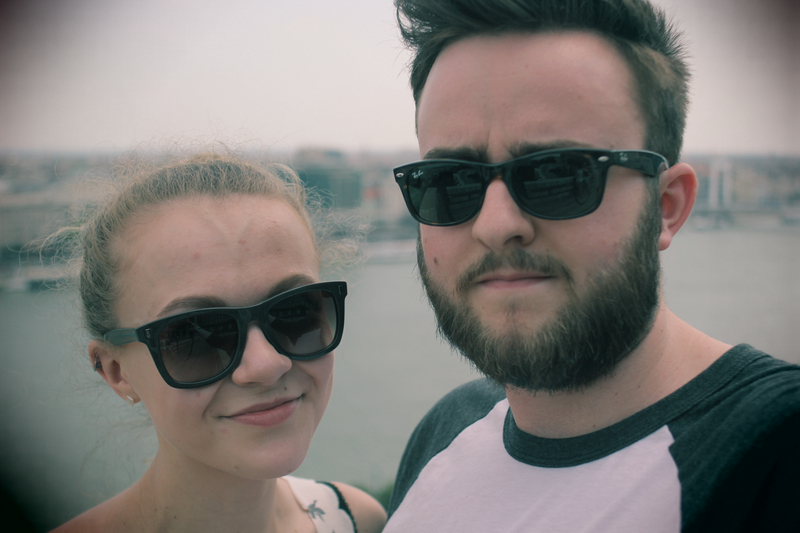 We couldn’t stay in Buda forever, so we decided to take a trip over the river to Pest. 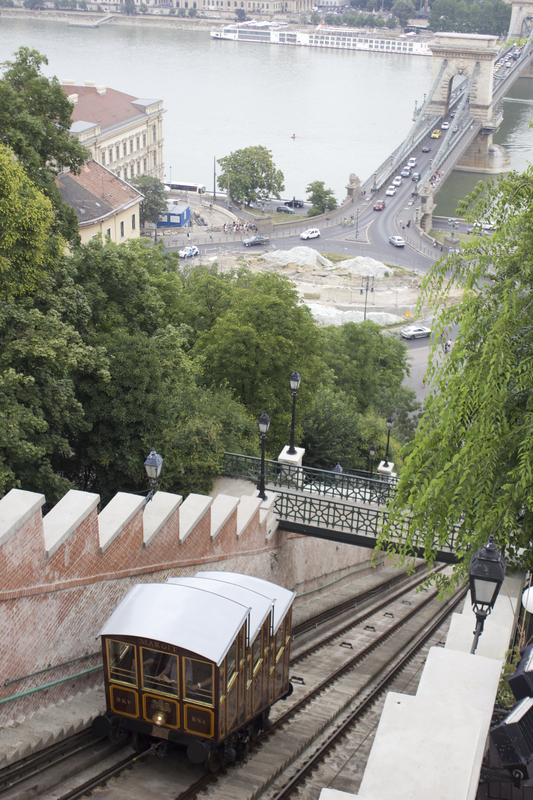 We decided to take the funicular railway down the hill as it was quite a walk otherwise! I would definitely recommend this mode of transport, not only does it take no time at all, but it is a really lovely historical thing to do and is something you might not see in too many places any more! We took the railway up and down but you can just take a one way trip if you prefer. 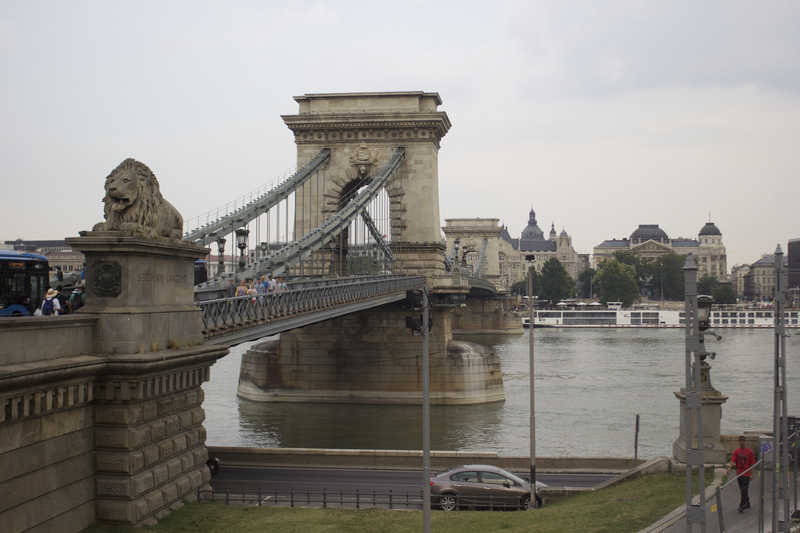 At the bottom of the railway is the Chain Bridge which is one of the most famous bridges in Budapest and connects the cities of Buda & Pest and offers great views up and down the Danube when you take a walk over it. We wanted to take a stroll along the Danube and sat and watched the boats going by and could see the Matthias Church and our hotel from down on the other side which made them look even more grand. Along the banks of the Danube is the incredible memorial ‘Shoes on the Danube’ this represents the Jews who were killed by fascist Arrow Cross militiamen in Budapest during World War II. 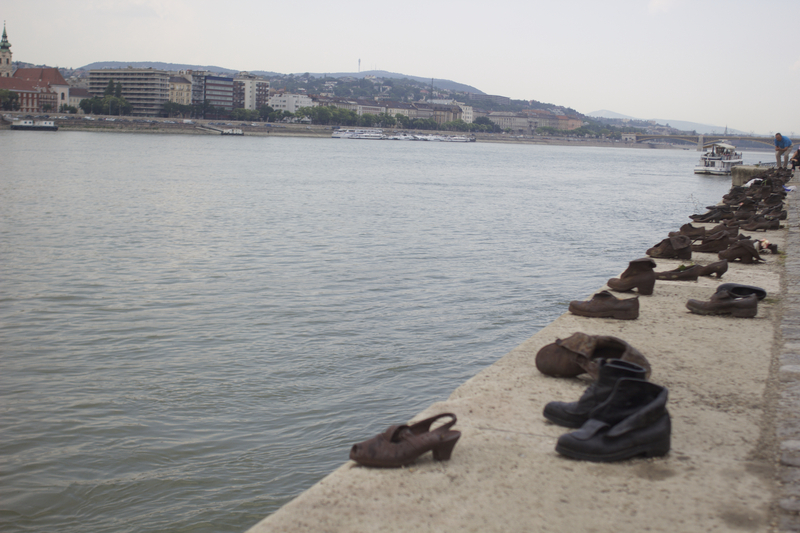 They were ordered to take off their shoes, and were shot at the edge of the water so that their bodies fell into the river and were carried away. It represents their shoes left behind on the bank. It is really shocking to see the amount of shoes that are there and shows the struggle that Jewish people were having across the whole of Europe, not just in Germany & Poland. It is definitely worth a visit! 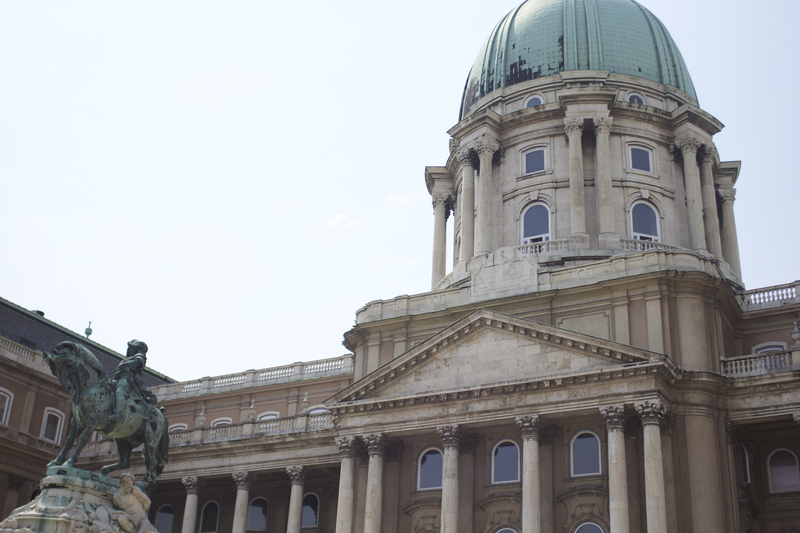 Just along from this memorial is the Budapest Parliament building which is such a stunning building! We didn’t go inside although you can go inside for free if you are a European Citizen I think but just remember to take your passport with you! After all this sightseeing, we were absolutely shattered, so we headed back to the hotel to get ready to go out for dinner. Both Tom and I love Italian so we found an Italian nearby that served lovely, cheap food in a garden like setting with live singers which was the perfect ending to a great day! The restaurant was called Riso and serves lovely pizzas and pastas! If you are in the Castle District, you should definitely give it a try! We wanted a more chilled day today in comparison the busy day we’d had yesterday. We headed off to the Gellert Baths for a bit of relaxation. Budapest is famous for it’s baths and this was something I had been told buy numerous people, was a must visit if I was in the city. Gellert Baths is one of the oldest in Budapest and is beautiful! It is so well run and is perfect for both hot and cold days as it has an outdoor pool with a wave machine, and heated indoor pools. We haven’t got any pictures of the baths as I thought it was a bit weird to take photos inside a swimming pool however there are plenty online if you want to see what it was like! The outdoor pool was perfect for us seeing as it was so hot outside, it allowed us to cool off and made it feel like you were on a lazy holiday rather than a city break. There was no chance to get a sun lounger however, we really didn’t need it, we just lounged in the pool and enjoyed the sun! Inside there are pools ranging in temperature from 31 degrees to 38. It is so lovely to sit there in the warm thermal baths and just chat and have a relax! One of the rooms inside the building has an incredible glass roof that can be opened on hot days, it is honestly the strangest thing to see the whole roof come off an old building! One thing that Tom and I tried was the steam room which is 50 degrees in temperature! I found it a bit too hot and I think Tom did too! We were both wearing contact lenses and all the steam was making them go a bit strange so we didn’t last very long! It is suggested that after the steam room you dip into the plunge pool which is literally about 10 degrees and is absolutely freezing! I only managed to get up to my knees but Tom was brave and did go all the way in. We spent the best part of our day here and then just wandered around the district for the rest of the afternoon. We found a fantastic restaurant for dinner which funnily enough was directly opposite our hotel. It was called Speiz and the food was amazing, it served some traditional dishes like Goulash Soup but then catered for all tastes, including me the picky vegetarian, in the form of Mushroom Tagliatelle which was simply incredible! We also had some of their homemade lemonades which are definitely worth a try! We headed home the next day and despite it being a short trip, I feel like we managed to cram a lot in to a small time. I would definitely recommend a trip to Budapest as it is such an incredibly beautiful city with so many things to see! I will definitely do another travel diary for Venice and Crete so keep your eyes peeled towards the end of September/early October for that! Thanks for reading! Hi Molly. I was in Budapest just a week after you went. For me it’s just a 4 hour drive with the car, but even so I went there only 2 times so far. I love that city and hope to see so much more of it. Hope you had a good stay! PS: You can try next time coming to Romania, for example Bucharest, Brasov or Timisoara (the city where I live in). Near Brasov it’s the Bran Castle also known as Dracula’s Castle.